Oftentimes, we have a tendency to be imprecise with language. This is not out of laziness per se, but rather because we just assume that “close enough” works in most situations. But the reason we need to be more exact with our language is because assumptions are a dangerous thing. Just look at what happens to a company’s stock price when someone makes an ill-advised statement or an offhand remark. 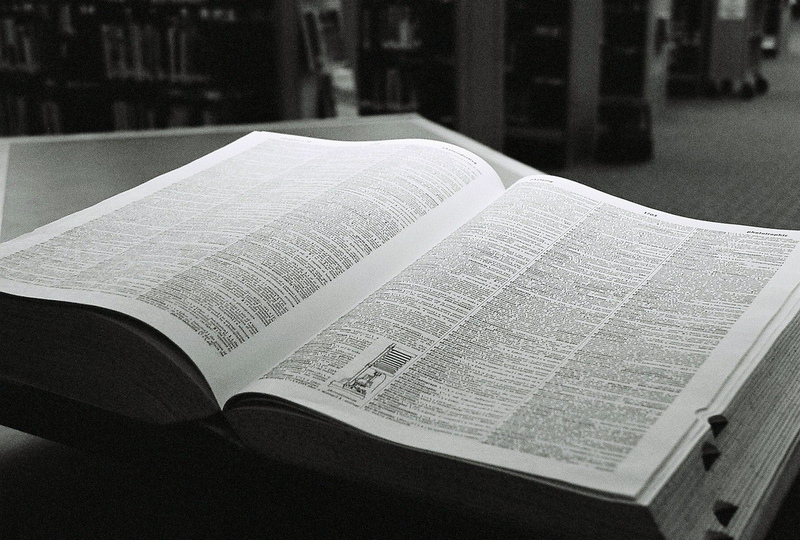 In the same way, language can have a massive impact on how we operate a sales organization. Oftentimes, the words “prospects,” “customers,” “targets,” “leads” and “opportunities” are thrown about loosely. The problem with this is that each term has its own particular place in the sales process, and they are all distinct and different. And once you start mixing terminology, you create all sorts of confusion, especially when bringing on new hires or working with partners. Therefore, before we get much deeper into our Sales for Startups Series, let’s take some time to review the key terms, which will be the foundation for our sales language. Note that the following is a fairly generic approach that works for most B2B sales organizations. Your definitions can certainly vary based on your particular industry, business model or process. The point of this exercise is to at least have an agreement across the organization regarding the meaning of these specific terms. Target. Before you can sell to folks, you first need to know whom you are selling to. While you might think that that list includes everyone, this is typically not a cost-effective, high-yield approach. Whether highly verticalized or broadly horizontal, you still need to identify which people and companies are most likely in need of your solution/product. This is often the work of the marketing department, which uses targeting to narrow the scope of their focus and resources. This targeting can be refined through a number of parameters such as geography, company demographics or needs. The effectiveness of one’s targeting efforts will have a direct impact on the effectiveness of marketing programs, thus improving the number and quality of leads that salespeople receive. Prospect. This is a potential customer — a person/organization that has expressed the intent to purchase and the means to do so. In other words, a prospect is someone that has been qualified by directly or indirectly answering various questions that demonstrate a need and ability to buy, plus a timeframe for taking action. Sometimes, this term is used interchangeably with lead. Customer. This is pretty self-explanatory. A customer is an entity that has purchased your solution, and will remain a customer until they stop using it. This dissolution can be for various reasons, including the replacement of your solution by a competitive offering, a lack of an ongoing need, because the solution is discontinued without replacement or due to the severing of the relationship. Note that a customer can also be a prospect for other solutions in the future — an important distinction to indicate in the sales process, and for understanding the total value of the customer-seller relationship. Lead. An entity that expresses interest in the solution is a lead. A lead does not necessarily have to be qualified. They simply have engaged via an inbound request or an initial positive response from an outbound contact (though this depends on one’s sales process). Once a lead is identified, that is usually the point when it enters the sales pipeline/funnel. Further qualification of initial interest is usually necessary to ascertain whether or not the lead has a high propensity to purchase, thus justifying further investment by the sales organization in converting the prospective buyer into a customer. Opportunity (or Deal). This is a lead that has been fully qualified. Generally, this will also mark the handoff between the marketing/inside sales/lead generation group and the outside/field sales group. Because of the large investment in time and resources required to close opportunities, the split in leads and opportunities ensures that sales resources are deployed most efficiently. Thus, the lower-cost inside sales group works through the large volume of leads that enter the organization to identify high-probability/high-value deals that can then be passed on to the more expensive field sales resources. Qualification. Qualification is the process of determining whether or not a lead demonstrates both the willingness and the ability to buy, as well as the worthiness to become a customer, before being passed along as a sales opportunity. The level of rigor in the qualification process before handing off leads to field sales will depend on the organization and sales process, but there will almost always be a dedicated group to specifically qualify leads. Sales Pipeline (or Funnel). The term pipeline is often used interchangeably with the term sales process. The concept of a pipeline or funnel gives a visualization of the lifecycle of a lead from when it enters the pipeline until it either closes (wins business) or it falls out (does not buy). The pipeline also reflects the various stages in a sales process from deal to opportunity so that the sales organization can understand the value of potential business that is currently being worked. The pipeline is one of the key reports used by sales to measure the health of the business and to identify issues. Sales Forecast. The sales forecast is the projected revenues generated by sales in some defined timeframe. In essence, the forecast is a financial report and impacts every aspect of the business. While some may refer to the forecast as a target, the proper usage would be to call the target a goal and the forecast a commitment. The reason for this is that the forecast impacts all levels of business planning and investor reporting, so it is critical that a forecast be an accurate reflection of the sales organization’s confidence to bring in revenue by a certain date. As we move along in our sales series, we will continue to add to the list above as a living dictionary of sales terminology.